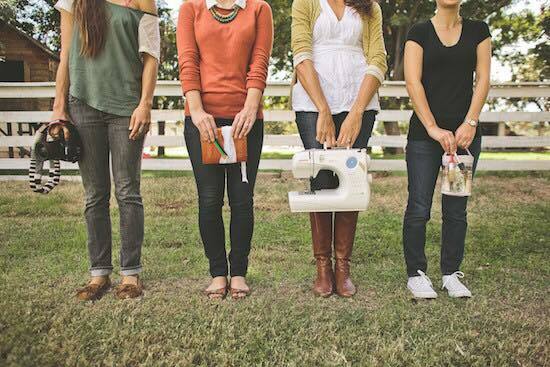 Are you ready to escape your house and spend a weekend crafting with the girls? Join me for a fun crafting weekend! The fun starts at the Foster Retreat Center in Osseo, WI at noon on Friday, November 11th and ends at 3:00 pm on Sunday, November 13th. You can bring your stamping, scrapbooking, knitting, sewing, quilting, painting or anything else you want to work on. The weekend is yours to do whatever you would like. PLUS, I’ve been stockpiling lots and lots of goodies to give out, and will be doing prize giveaways all weekend long! We do have limited space so make sure you send in your registration form and check as soon as possible to secure your spot. It’s a first come, first served basis. Get the girls together and stay the weekend! Print this registration form, fill it out, and mail it to me along with your registration fee. Make sure to invite ALL your friends!